I love my family and friends and my favourite thing in the world is cooking for the people I love. Sometimes however, and before I hear any protests, I do appreciate this is through no fault of their own, they make it a near impossible task. I mean honestly, what can you make for dessert for a bunch that have among them the following dietary no-nos: lactose, gluten, any form of cheese and no meat whatsoever? So, no cheese cake, no gelatine based desserts, no ice-cream, no cakes or pies or tarts or cookies – which pretty much destroyed all the usual tricks I can quickly pull from my hat. Secret confession time? I love challenges like this – and so to the internet to find solutions. Thanks to Tom Aikens for this amazing little number, which I’ve tweaked ever so slightly. I’ve used Asian flavours because we were having an asian inspired Barbecue, but this is one of those wonderful desserts where the only flavour limit is your imagination – I think we’re doing a salted caramel one next or maybe one inspired by the Waterside Inn with pistachios. 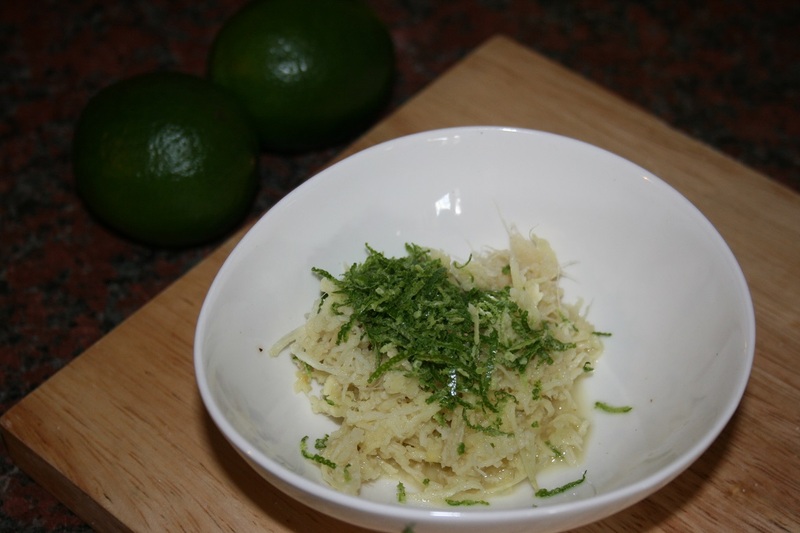 Heat the oven to 160°C and finely grate the zest off of your lime and grate the ginger. 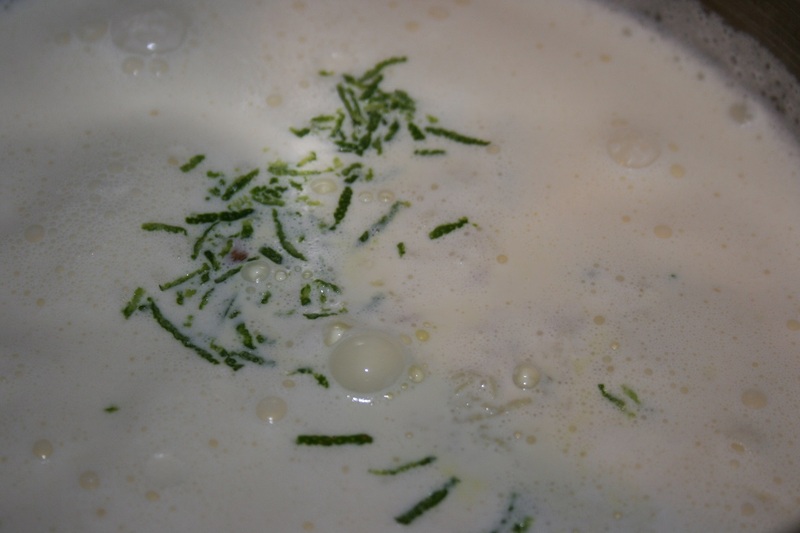 Add the milk, the cream and the grated lime zest and ginger to a small sauce pan and slowly heat over a low flame. 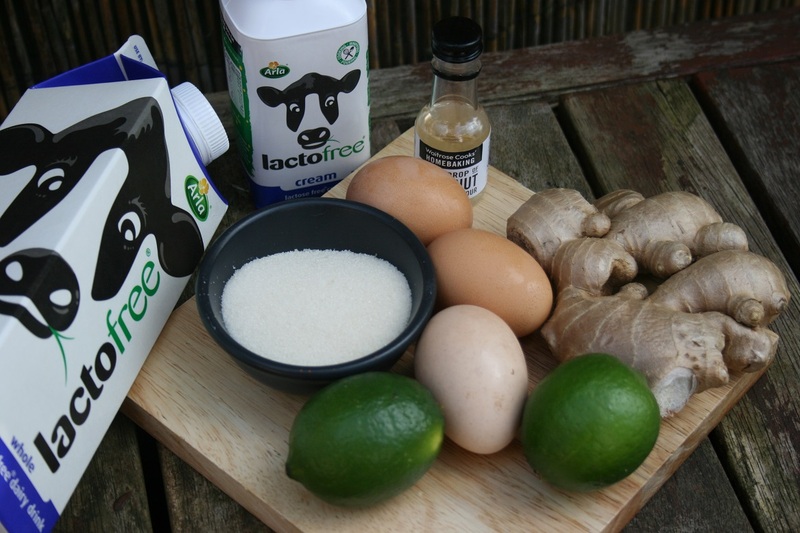 Juice the lime and then place the lime juice, the egg yolks, (save the whites for marshmallows or meringues) the caster sugar and the coconut flavour into a large bowl (or the bowl of your mixer) and whisk until pale and fluffy. 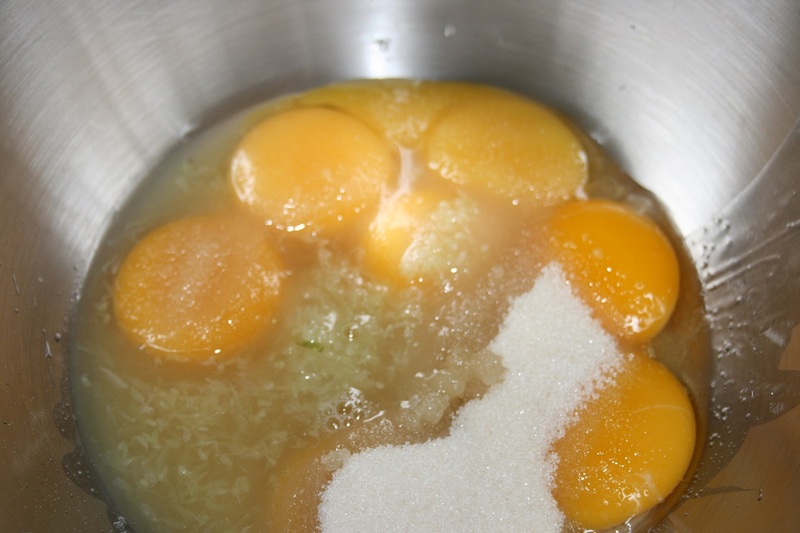 Once your egg mixture looks like the one above check on your milk/cream mix – it should be just shy of boiling. 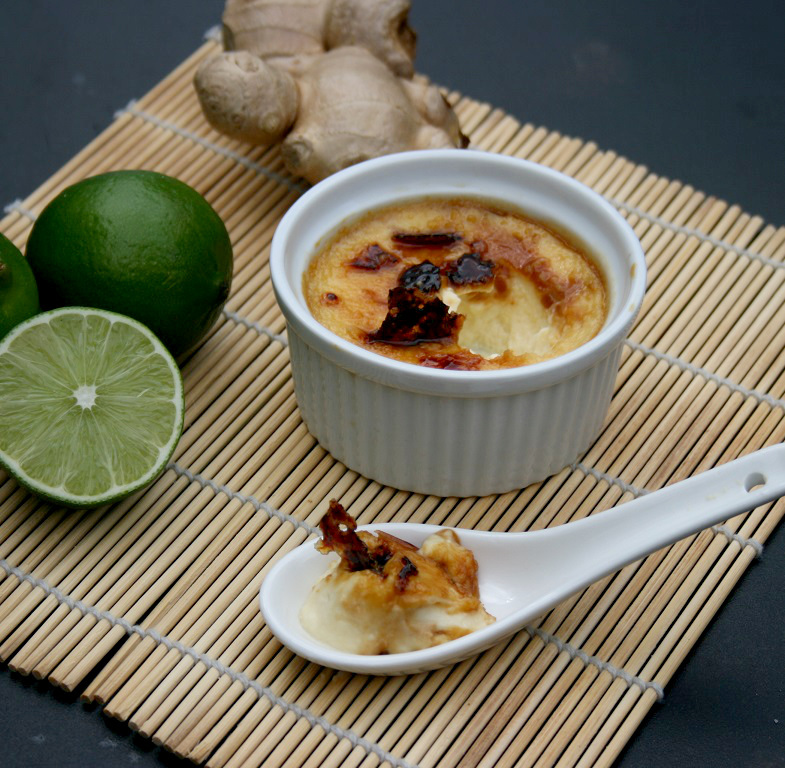 Strain the milk and cream mixture to remove the ginger pulp and lime zest – you want the crème to be smooth and creamy to contrast with the crunchy brûlée and if you leave the ginger and lime in, it will just be gritty. 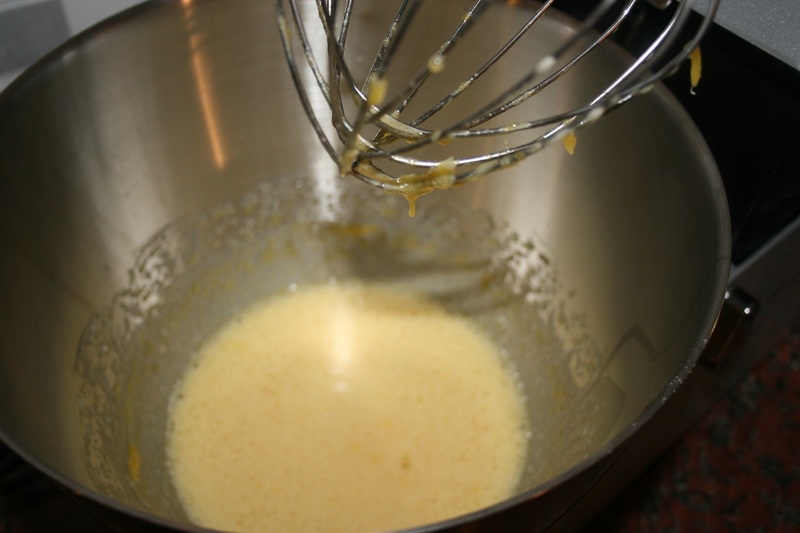 Pour the strained milk/cream mix on to the egg mix and whisk the two together. 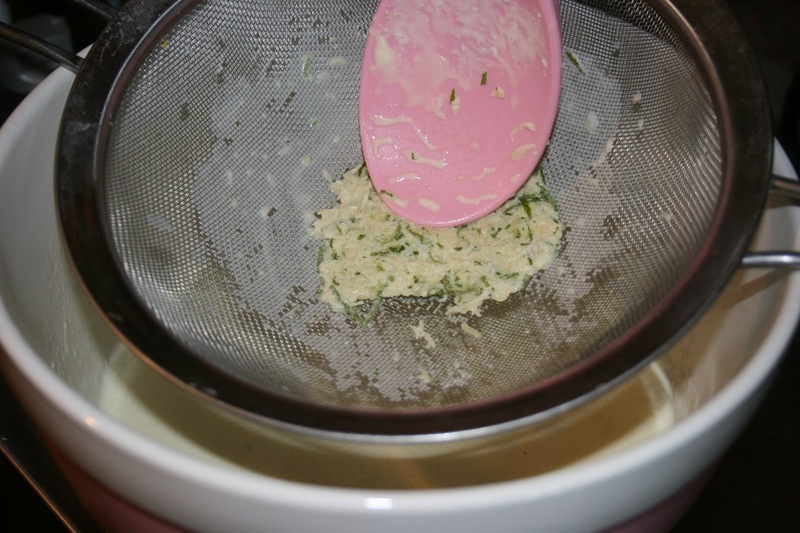 Boil your kettle and fill a large, flat bottomed, oven proof dish so that the water is about 1.5 cm deap. 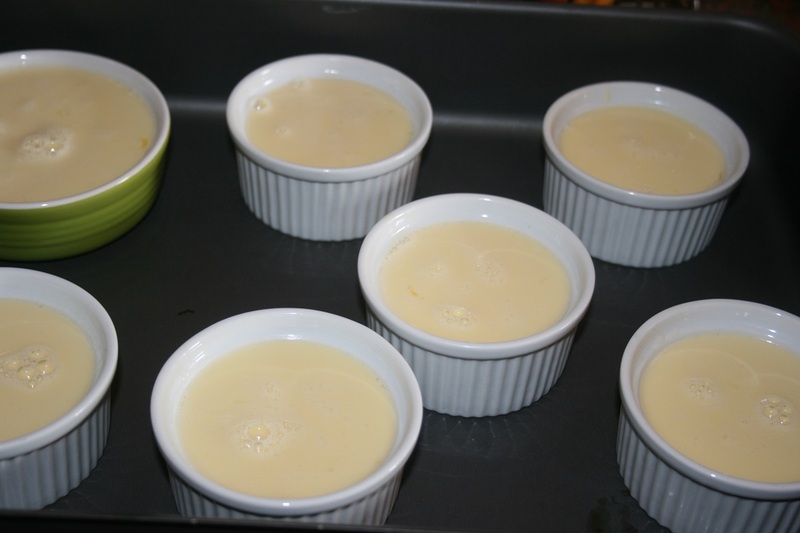 Place the egg/cream mixture into your ramkins and place the ramkins into the oven proof dish. Place the dish into the oven and bake for about 45 minutes. 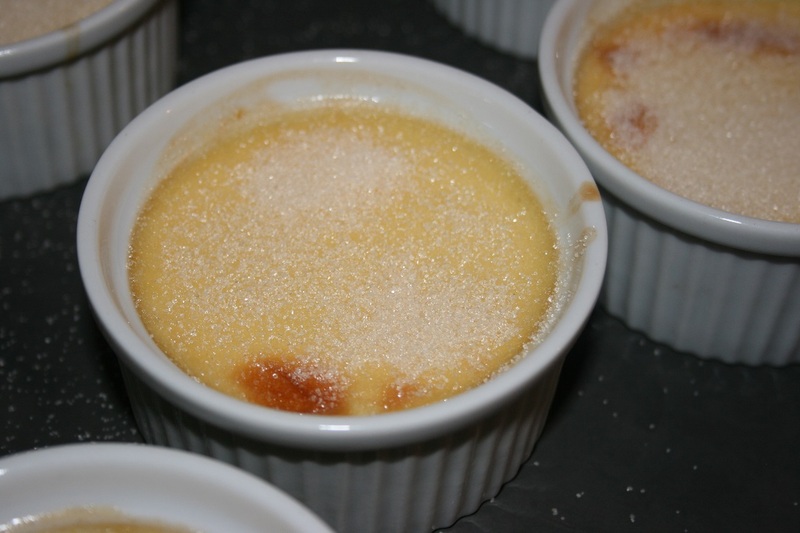 The tops of your custards should still have a slight wobble, BUT they SHOULD NOT be brown *blush*, but if they do brown a little, don’t panic, the brûlée will cover any errors. 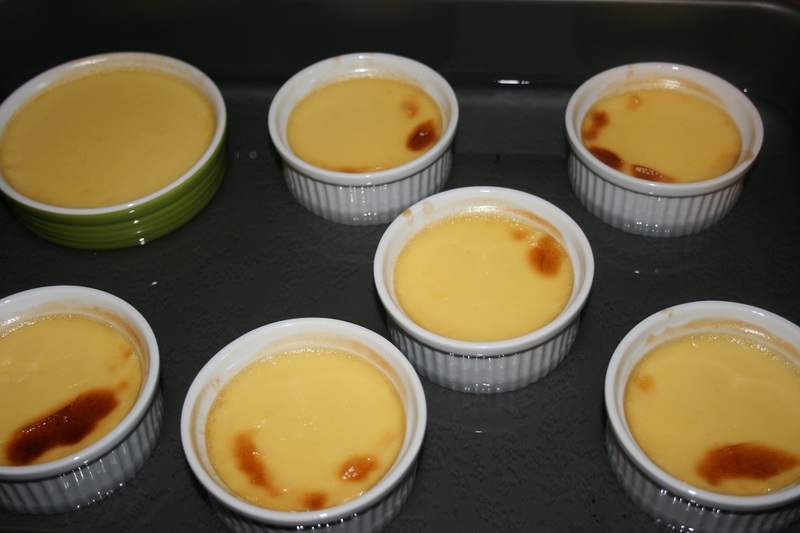 Place the custards in the fridge for at least two hours or if you like to prepare ahead, overnight. 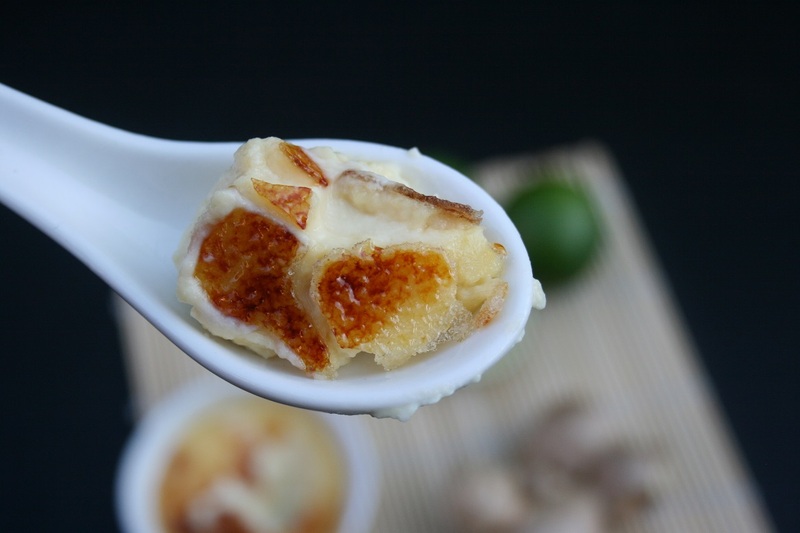 When you’re ready to serve dessert remove from the fridge and lightly dust the tops of your custard with a coating of golden brown sugar and then. . . BURN BABY BURN Lightly caramelise the sugar with a blow torch. THIS IS THE MOST FUN EVER! I may be a little sad. 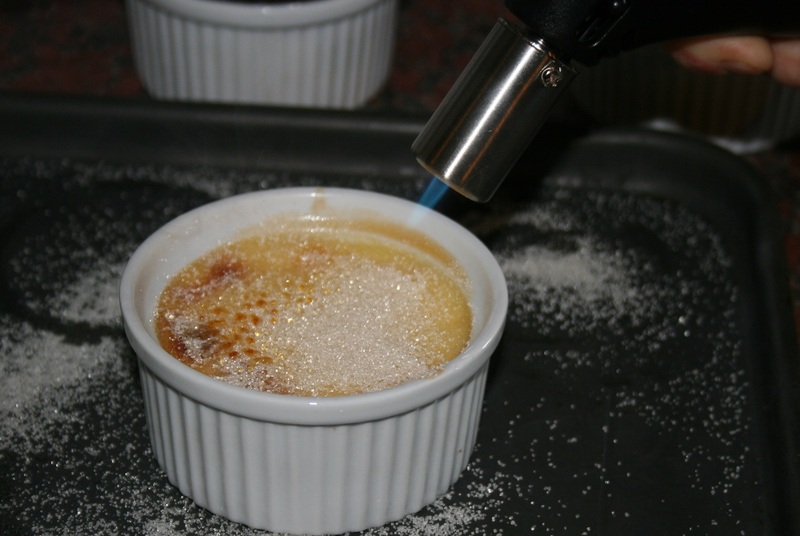 If you don’t have a cooks’ blow torch run out and buy one now trust me you WILL thank me you can turn on the grill of your oven on to it’s highest setting and pop the dessert under the grill. Keep an eye on the sugar and remove the moment sugar has melted. Pop the desserts back in fridge for a few minutes to cool down and to harden the sugar and then dig in. China through the Eyes of a Chinese-American. Trying to make my difference in the world by teaching English in underdeveloped China for the next two years as a Teach for China Fellow. A handcrafted life is a happy life.